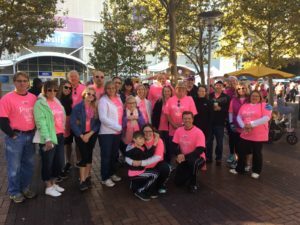 Members of Miller Stauch Construction and their families participating in Kansas City’s Making Strides Against Breast Cancer on October 22nd. The Miller Stauch Team walked in honor of every survivor and that someone we love who has fought against this disease. 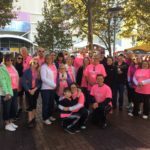 Making Strides Against Breast Cancer 2016, an inspiring and awesome event for all communities and participants! 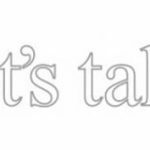 In construction you don’t always want the “strong silent type.” Why communication is a key pillar of a successful construction project. When you think of critical functions of a construction professional, what comes to mind? Concrete and carpentry? Scheduling and budgeting? These are all good answers and required but one of the most (if not the most) critical functions of a good general contractor (GC) is communication. Is the risk of over-communicating lower than risk of under-communicating in construction? Yes it is and much lower. Finding the right balance when communicating with your team is key but when you look at the extremes, “over-communicating” wins 999 times out of a thousand. The worst that can happen with continuous communication is that a team member is annoyed by a few extra e-mails. The worst thing that can happen with under-communication is an assumption that can lead to anything from extra costs to a wrong assumption about structural details. Too often a construction supervisor with 20+ years’ industry experience assumes that what is being communicated to a new client and/or team member automatically understands what is being described. In construction, unrestrained communication allows an utmost awareness. All stakeholders are aware of the project’s status ensuring nothing is missed. Only when you’ve worked with a contractor that doesn’t communicate very well do you realize the importance of this trait. Never be afraid to over-communicate. It’s an absolute necessity within the AEC industry and an undervalued trait among GC’s. At Miller Stauch Construction communication is emphasized from the President to the laborer. It’s embedded into our culture because we strongly believe that communication is the one important component that leads to a project’s success. When building, whether it is a long-term relationship or a 6-month project, you cannot communicate enough. When was the last time you experienced a lack of communication or (even worse) no communication at all? What was the outcome? Please comment below about how communication has affected your construction jobs, both positively and negatively. Over-communication is always better than assumptions. It’s a day like none other for Kansas City’s Miller Stauch Construction team! Our inaugural blog post is now live! Welcome! Knowledge is value! That is our mission . . . delivering what matters to you because YOU matter! We chose to start this blog so that we might better connect with you. It is our goal and hope that the information here is educational, enlightening, and engaging helping to build and cement the trust needed to be that source of value when seeking your preferred general contractor. Rest assured…relationships matter to us here at Miller Stauch Construction. YOU matter to us. Excited for your questions and curiosity—always open 24/7 for your thoughts.